The stock market may seem like an exercise in chaos. However, it is a very efficient process that facilitates the buying and selling of securities. Thanks to vast computer networks, much of the trading is done with little, if any, human intervention. It makes it as easy to sell 100 shares as it is to sell 10,000 shares. Read on for a primer on the stock market. Trading stocks: You hear that phrase all the time, although it is wrong—you don't trade stocks like baseball cards (I'll trade you 100 IBMs for 100 Intels). To "trade" means to buy and sell in the jargon of the financial markets. How a system that can accommodate one billion shares trading in a single day works is a mystery to most people. No doubt, our financial markets are marvels of technological efficiency. Investing is much more than a numbers game, but you can't get very far from numbers if want to understand what's going on in the market or with your stock. The stock market quote, which you can find in the daily newspaper or online, is the most basic collection of numbers that providers update on a regular basis. When it comes to buying and selling shares of stock, the exchanges act more like flea markets than centers of financial sophistication. That's why you need to understand the bid and ask prices. Unlike most things you buy, both the buyer and seller set stock prices. The buyer states what price they will pay for the stock—this is the bid price. The seller also has a price—the asking price. Stock prices, and why they rise and fall like they do, may seem like another mystery. You will hear about the influence of earnings on stock prices or the economy or the credit market. While all of these factors figure into price changes, they have little direct impact on prices. What these and other factors do is change the balance of supply and demand. Buy low and sell high (or overweight) is the ultimate guide to successful stock investing. It is also the reverse of what many investors do. It's not that investors start out to do that, but too often, they use price, and in particular price movement, as their only signal to buy or sell. Stocks that have gone up recently, especially those with a lot of press, often attract even more buyers. It obviously drives the price up even higher. More and more investors are opting to use an Internet-based broker for their trading, which often means they must know exactly the type of buy or sell order they want to enter. You can use a variety of buy or sell orders to take more control over the transaction than a simple market order. Some of the orders restrict the transaction by price, while others constrain it by time. When the bottom falls out of your favorite stock's price, a stop-loss order on file with your broker can help ease the pain. A stop loss order instructs your broker to sell when the price hits a certain point. The purpose of the stop-loss is obvious—you want to get out of the stock before it falls any further. Trailing stops, a form of stop-loss orders, can also protect a profit and, if you're clever, follow a stock's rising price. If your image of a stock exchange is a cavernous room full of people in oddly colored coats and vests running around in apparent chaos, you must be thinking of The New York Stock Exchange. The NYSE is the oldest major stock exchange in the United States and the one that is synonymous with Wall Street in most people's minds. The Nasdaq is a computer-based stock exchange where buyers and sellers meet electronically. 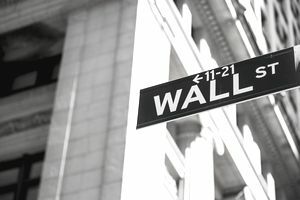 Even though computers keep track of all the orders, there is still a very human presence in the Nasdaq, and that is the market maker. Unlike the New York Stock Exchange and some other smaller exchanges, there is no physical Nasdaq trading floor. Don't be a victim of an investment scam. It is easier than you think for crooks to con you out of your hard-earned money if you let your guard down. Investment scams come in many forms, and the Internet has just made it easier and faster for these vultures to feed on investors tempted by the possibility of an "inside deal."